Rally Armor UR ("you are") mud flaps for 2013+ Subaru BRZ, Toyota FR-S offer strong, impact resistant urethane construction while blending exceptional flexibility and long term durability. 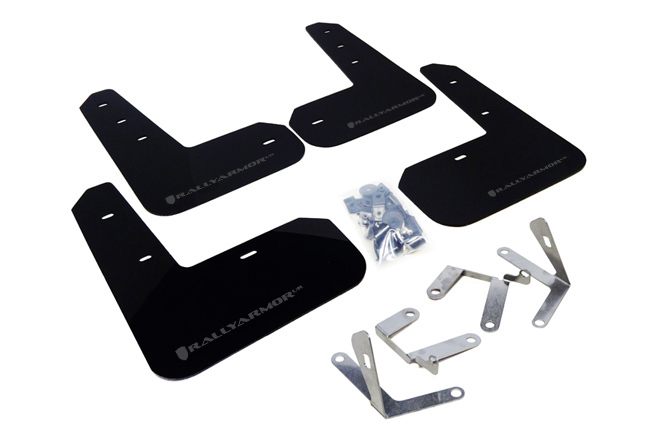 Each Rally Armor UR mud flap set for 2013+ Subaru BRZ, Toyota FR-S includes 4 UR mud flaps for all 4 corners of the vehicle, mounting instructions, and hardware. Fitment Note: Fits 2013+ Subaru BRZ (Premium/Limited), Toyota FR-S. Please note: Not a direct fit for the 2017 +86 model rear area, the rear bumper no longer includes OEM mounting points and must be created.